Comments: Katherine Phillips taught seventh grade at Scottsville School from about 1935 until she retired in the 1970's. 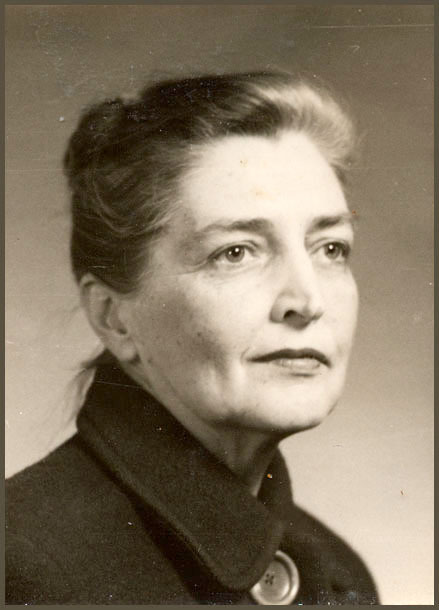 With her perspective that life need not be a narrow existence, Katherine encouraged students to explore their creative interests and stimulated their thinking. Her students fell in love with learning, just as Katherine had at an early age. Katherine, the daughter of John L. and Helen (Burgess) Pitts, grew up at Belle Haven, the Pitts family home in Scottsville. Belle Haven was a very social place with a lively interest in learning. The Pitts family often provided room and board for local teachers as well as school-aged children of family and friends so they could attend Scottsville School. Katherine was a good student with many interests, and after her freshman year at Scottsville High School, she was advanced to junior level classes. In her senior year, Albemarle County awarded Katherine the McIntire cup for placing first in county scholarship. Katherine graduated from Scottsville High School on May 30, 1923. 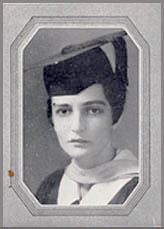 During the 1923-1924 school year, Katherine attended college preparatory classes at Stuart Hall in Staunton, VA. She enrolled at Randolph Macon Women's College in Fall 1924, and during the next four years, Katherine excelled in academics and took a study trip to Europe in October 1927. Katherine also played women's basketball at Randolph Macon as well. In 1928, Katherine graduated with a bachelor's degree in English and enrolled in summer school at the University of California, taking teacher's training courses and study tours to such locations as New Orleans, San Antonio, the Grand Canyon, Hollywood, and San Francisco. By August 1928, Katherine was hooked on the University of California and enrolled for a semester's work on her master's degree. Her return trip to Scottsville that Christmas was via boat through the Panama Canal and New York City. In 1929, Katherine married John Randolph Phillips, a high school classmate and writer. About 1935, Katherine accepted the position of seventh grade teacher at Scottsville School and thus began her long teaching career in Scottsville that spanned nearly forty years. She nurtured her students, encouraged their creativity, and gave them opportunities to explore their talents. Her students fell in love with learning and today often rate Katherine Phillips as the best and their favorite teacher at Scottsville Schools. As one student termed her seventh grade experience with Mrs. Phillips as her teacher, "It was a magic time!" George Stark Howard, Albemarle Co., VA (1935-1936): "My favorite Scottsville teacher was Mrs. Phillips. I always liked her because we used to put on plays in her class. We had this one girl in our class named Hazel Holt --- she was quite a playwright. Hazel used to write little scenes, which Mrs. Phillips really encouraged. Every morning Scottsville School had a 15 minute assembly for the whole school (5th through 12th grades). The Principal would make some announcements, and then our class would act out the latest of Hazel's scenes for the assembly. Yes, Mrs. Phillips was a nice teacher - I always liked her." Richard Ludlam Nicholas, Charlottesville, VA (1942-1943): "Seventh grade was my last school year in Scottsville, and the class was taught by Mrs. Randolph Phillips, whom I absolutely adored. She was one of the best teachers I ever had at any level and really stimulated whatever intellectual capabilities I had." Zoa Marie (Cobb) Self, Buckingham Co., VA (1944-1945): "My favorite teacher was Mrs. Randolph Phillips. Her husband was an author. She taught seventh grade --- all of the subjects. She was considerate and offered an awful lot of encouragement. I came up in life without a mother, and lacked a lot because of that. She was a motherly figure, who encouraged me to succeed." Callie Vee Bowers, Scottsville, VA (1951-1952): "Mrs. Phillips was my seventh grade teacher and such a genteel, gentle lady. I don't think I've ever heard her raise her voice - she didn't need to do so. She controlled the class by her quiet elegance and her expectations. And you just didn't want to upset her because you respected her and wanted to do what she wanted you to do." "Seventh grade is the year I fell in love with books�truly fell in love with books. I couldn't read enough. Mrs. Phillips encouraged her students' creative interests, and with me, it was literature. If there was a story we read in class that really interested us, she would let a group of us 'budding players' write a play to go with the story and act it out. Her room was the last one in the school's back hall, and we practiced our plays back there by the coat closets. I do remember many plays that we wrote including one in radio show format which we thought was just the greatest thing. We also acted out a scene from Dial M for Murder, which is pretty challenging for seventh graders, and many other plays, too." "Mrs. Phillips let us be ourselves in seventh grade, and I felt good about what I was able to do. She gave me a lot of confidence in myself and a great love of literature. I thought I could do anything, and that, I think, was one of her great strengths. Her perspective was that life does not need to be a narrow existence, and she gave her students an opportunity to explore their talents. It was a magic time! Mrs. Phillips was a great teacher." Cenie Re (Moon) Sturm, Scottsville, VA (1963-1964): "One of my dearest, favorite teachers was Katherine Phillips, my seventh grade teacher. I just adored her. And I guess in some ways, I must have been her pet because she was always having me do things for her. I would type work sheets for her and help her grade papers. I just adored her and thought Katherine Phillips was the most wonderful thing in the world." Kitty Harris Rice, Austin, TX: "Mrs. Phillips taught my 7th grade, and I fell in love with her. She was such a graceful, lovely lady; one we envision when we say 'Southern cultured lady.' I thought she was beautiful, and wished I could look just like her -- especially the way her hair looked. She always had it pulled back in a graceful bun." Shirley Cunningham Eye, Fredericksburg, VA (1957-1958): "Mrs. Phillips created fierce competition between the males and females as we learned advanced multiplication problems. Sitting perched upon a student's desk, Mrs. Phillips instructed her class and was respected and challenging." Wanda Proffitt Kucera, Keswick, VA: "Mrs. Phillips played a very special part in my life. She was my 7th grade teacher and taught me to love the arts! Also, I had the opportunity to 'babysit' her Mom on occasion." "When I was in the 7th grade, Elvis Presley's big hit was "Love Me Tender." I thought it was the greatest song ever! Mrs. Phillips instructed me that the title was incorrect grammar. It should have been named 'Love Me Tenderly', tenderly being an adverb!" The above photos are part of the Kathleen McNamara collection. Kathleen resides in Scottsville and is the daughter of Katherine (Pitts) Phillips.